His Gace the Right Reverend Dr. Justin (Stefanović) Bishop of Žiča, was born on 26 May , 1955, in Čačak, to his father Stanislav, Nektarije in monasticism, and mother Danica, Hristina in monasticism. He was baptized as Miroslav. He finished primary and secondary school in Belgrade, where he also studied at the Faculty of Economy. He started his monastic life in Crna Reka Monastery, in 1980, where he was tonsured in 1983 by Bishop Pavle of Raška – Prizren, later Serbian Patriarch. 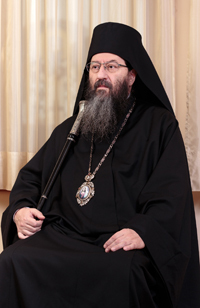 Without neglecting his obedience tasks in the monastery, he enrolled in the Faculty of Orthodox Theology of the SOC in Belgrade and graduated there in 1987. He also finished postgraduate studies in Athens at the Faculty of Orthodox Theology of the Athens University. He became the abbot of Crna Reka Monastery in 1991. At the regular session of the Holy Assembly of Bishops of the SOC on 27 May 1992 he was elected Vicar (Auxiliary) Bishop of Hvosno and appointed as a deputy to the ailing Right Reverend Milutin, Bishop of Timok, with all the prerogatives and duties of a diocesan bishop. The consecration took place in Spoćani Monastery on the feast of Sts. Cosmas and Damian the Unmercenary Healers, on 14 July 1992. He was consecrated at the hands of His Holiness Pavle, Serbian Patriarch, with the concelebration of a large number of bishops. He worked tirelessly on the restoration of church and monastic life in the Diocese of Timok. He has been elected a member of the Holy Synod of Bishops in three mandates. He has been a participant of numerous theological and scientific conferences, congresses and symposia. He translates from Greek and publishes theological texts and scientific papers. He has been engaged in arts for more than three decades – in wood carving, especially in making wooden carved crosses. He has exhibited his works of art on numerous joint and one-man exhibitions. One of them was the exhibition entitled The Contemporary Orthodox Art, in the Gallery of Applied Arts in Belgrade, in 1995. On the occasion of the celebration of the 20th anniversary of his Arch-pastoral service in the Diocese of Timok, Bishop Justin presented his works of art on the one-man exhibition called “The Power of the Holy Cross”, in the National Museum in Zaječar, on 29 September 2012. The same exhibition was shown in Stevan Mokranjac Gallery in Negotin, on 27 January 2012, as well as in the Ethnographic Museum in Belgrade, on 22 May 2014.The exhibition was opened under the title “The Tree of Life”. After Belgrade, in the course of 2014, the exhibition was presented in the National Museum in Kraljevo, Čačak and Užice. On 25 March 2014, His Grace Bishop Justin defended his Master thesis Repentance According to the Teaching of the Apostolic Fathers. At the regular session of the Holy Assembly of Bishops of the SOC, in May 2014, he was elected Bishop of Žiča. Bishop Justin successfully defended his Doctor thesis The Possibility of Application of Repentance Practice of the Early Church in Contemporary Time, at the Faculty of Orthodox Theology of St. Basil of Ostrog, in Foča, on 23 November,2017. For many years of hard work, as Diocesan Bishop, he has received numerous church and social recognitions, one of them being the title of Honorary Citizen of the Town of Zaječar, awarded in 2006. The founder of the Holy Nemanjić Dynasty in the 12th century was the first Serbian Grand Prince Stefan Nemanja (St. Simeon the Myrrh-Gusher). The youngest of his sons – Rastko went to Mount Athos and was tonsured under the name of Sava. Stefan Nemanja abdicated, leaving his throne to his middle son and successor Stefan. Stefan Nemanja himself was tonsured under the name of Simeon and, dedicating himself to monastic endeavour, went to Mount Athos where he met his blessed repose. 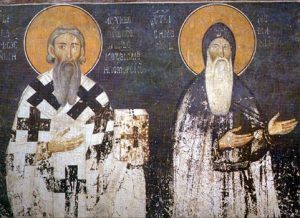 Acquiring great wisdom and experience of Athonite ascetics, Sava came to Serbia in 1208 with the Holy Relics of, at the time already God-revealed saint – his blessed father St. Simeon. 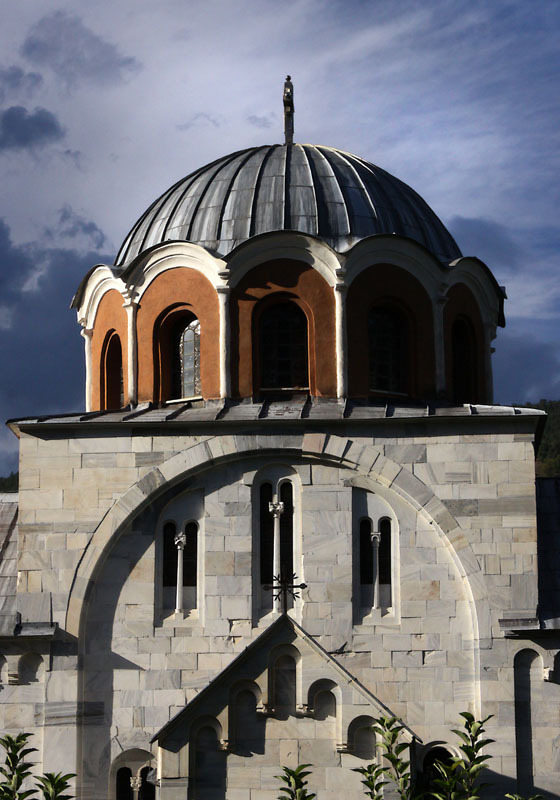 Sava received the Archimandrite order in Studenica Monastery and, with all his might, helped his brother Stefan to strengthen and organize the state. The independent state of Serbia needed the independent Church as well. 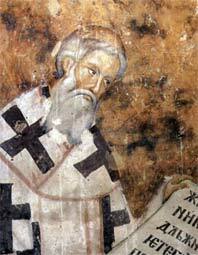 Sava went to Nicaea and managed to obtain the autocephality (independence) for Serbian Church in 1219. Archimandrite Sava was consecrated by Orthodox Patriarch Manuel Saranten as the first Serbian Archbishop. With tremendous effort, to the joy of his people, Archbishop Sava began to organize church life. 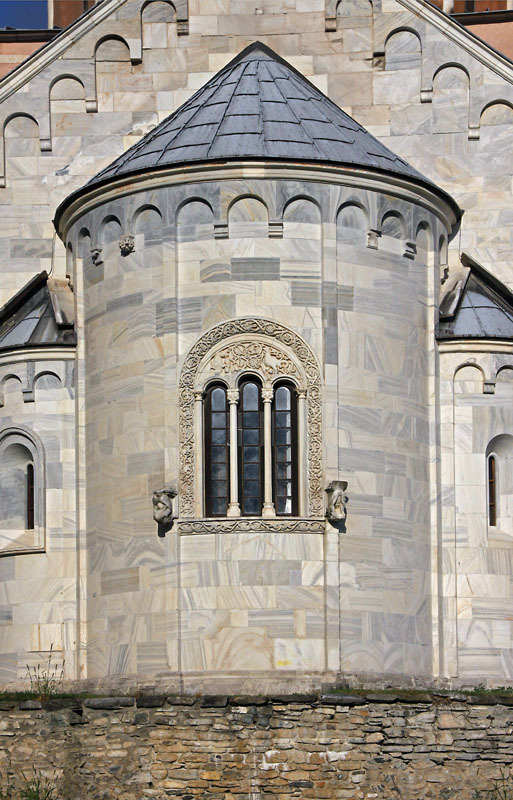 With his brother, ruler Stefan, he finished magnificent Žiča Monastery, decorating it with marble and frescos and proclaimed it the see of Serbian Archbishopric. There in Žiča, at Ascension (Spasovdan) Assembly, in 1221, Archbishop Sava crowned Stefan the First Serbian King, thus making Žiča coronation and enthronement place of Serbian State. 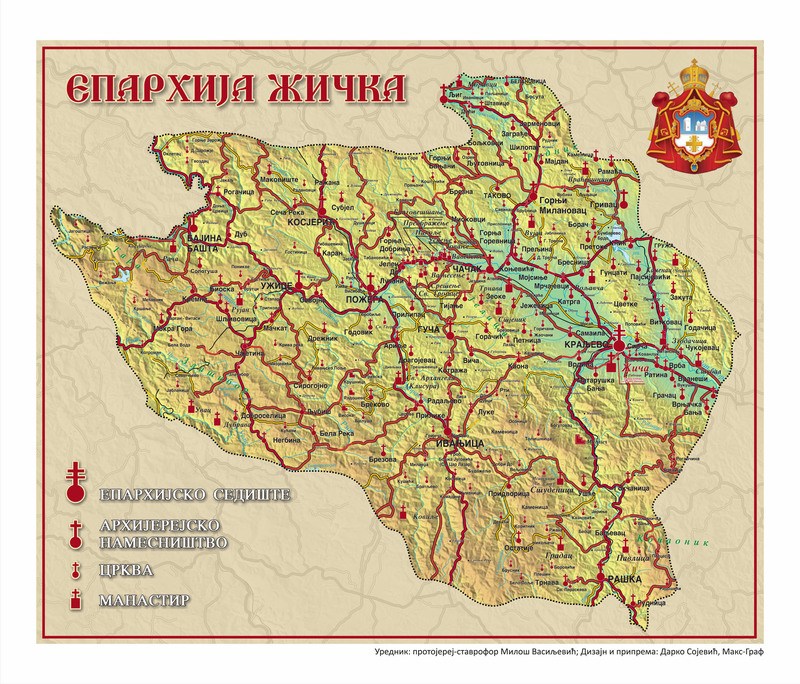 Apart from already existing dioceses in Ras, Lipljan and Prizren, Archbishop Sava founded two dioceses in the Littoral – of Hum and of Zeta, as well as six dioceses in inner Serbia: of Žiča, of Hvosno, of Budimlje, of Dabar, of Morava and of Toplica. In this way the whole territory of Serbian State and its people was provided with the effective care of the Church centres. Therefore, the founder of the Diocese of Žiča is St. Sava and Žiča Monastery became the see of the Diocese of Žiča. Soon after the blessed repose of Archbishop Sava in 1236, in Trnovo, Bulgaria, God revealed His new servant and saint. 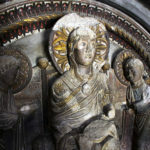 The Holy Relics of Sava remained uncorruptible and mirracleworking, so up to this day St. Sava remained the most beloved and revered saint from the Serbian race. 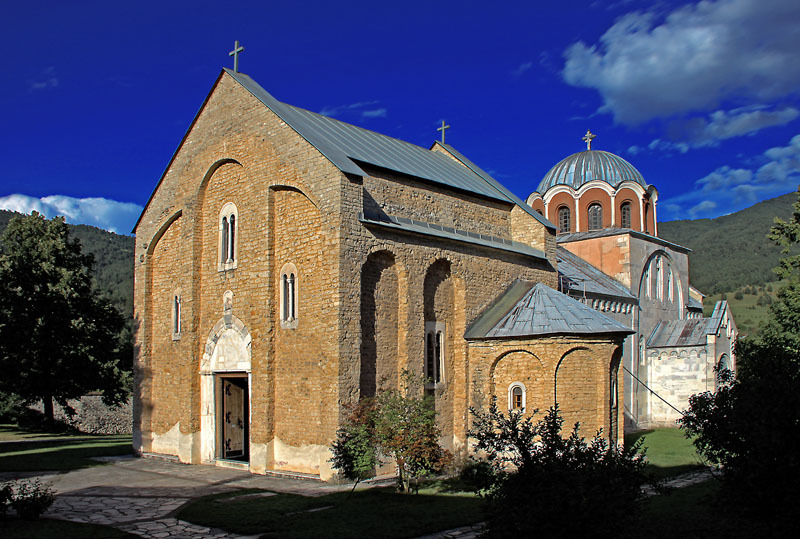 The successor of St. Sava on the Archbishop’s throne was St. Arsenije Sremac, who, because of Hungarian invasion, had to move the see of Serbian Archbishopric to the Church of the Holy Apostles in the Monastery of Peć in Metohija. 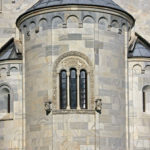 By moving the Archbishop’s throne to Peć, Žiča did not lose its importance as episcopal see. In the time of Archbishop Jevstatije I (1279-1286) Žiča once again became the centre of Archbishop’s lively activity. After his illness, repose and burial in Žiča monastery, God celebrated him with sanctity shown in miraculous healings through his relics. He was succeeded by Archbishop Jakov (1286-1292). Žiča and the Diocese also lived to the fullest in the time of Archbishops Jevstatije II, Danilo II, Sava III and Archbishop Nikodim. In the autmn of 1390, or in the spring of 1391, at the Assembly in Žiča, Danilo III was elected Serbian Patriarch. The times of war began. The diocese, monasteries and churches lived and suffered together with their people, they were distroyed, burnt, and once again restored. With the invasion of Ottoman Turks church sees were often moved. After the fall of the Serbian Despotate under the Ottoman rule, in 1459, life in Žiča died down, up to the restoration of the Patriarchate of Peć in 1557, when monastic life in Žiča was restored to some extent, but only for a short time. 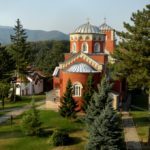 From this time, up until the 19th century, we find almost no data on the Diocese of Žiča and Žiča, which was desolate and left to ruin, due to harsh historical, war circumstances and destruction. During its history the Diocese of Žiča has changed its name and sees. Thus we find data from 1654 on Makarije, the Metropolitan of Užice and Mitrofan, the Metropolitan of Valjevo and Užice (1760-1766). 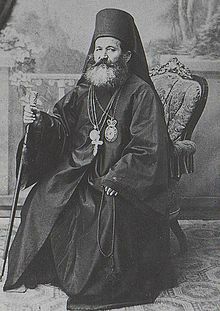 Nikifor Maksimović, the Bishop of Užice (1831-1853) had an important role as well. The Bishop’s see was moved from Užice to Čačak. In Čačak he built the Bishop’s Palace. He restored the Monasteries of Preobraženje (Transfiguration of the Lord) and Sretenje (The Meeting of the Lord). He helped the poor with their education, built schools and helped book publishing. A special role in the restoration of church life had Joanikije (Nešković), the Bishop of Kruševac (1854-1873). Before he was elected Bishop, he had been a residential monk with Petar (Jovanović), the Metropolitan of Belgrade, a supervisor of the restoration of Studenica Monastery, a member of the Consistory in Belgrade and Šabac, Bishop’s deputy and a head of Kalenić Monastery. He had been the Bishop of Šabac for six years, since 1849, when he was elected by the Holy Assembly of Bishops. Using his own funds he built a school and the Church of St. Sava in his birthplace Milandža, as well as the monastic living quarters for Kalenić Monastery and a small residence and a church in Preradovac. 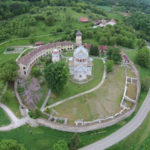 He invested large sums for the restoration of Žiča Monastery. He was a great lover of books. He would buy and give books, collect antiquities, manuscripts and old coins. He would send them to the Society of Serbian Letters and Serbian Learned Society, whose member he was. His see was in Karanovac (today’s Kraljevo). He reposes in Žiča Monastery. After meritorious Bishop Joanikije (popularly known as Janja), the Episcopal Throne was succeeded by Bishop Vikentije (Krasojević) of Žiča (1873-1882). He was a lover of books and education. He bequeathed all his property to charity and scholarship funds. Kornelije (Stanković), the Bishop of Užice, administered the Diocese for less than two years (1883-1885). In the period of his administration the Diocese changed its name on 26 June 1884, and since then it has been called the Diocese of Žiča. He reposes in Žiča Monastery. Nikanor (Ružičić) was the Bishop of Žiča from 1886 to 1889. Sava (Barać) was the Bishop of Žiča from 1889 to 1913. He was a participant of the Congress of Berlin, a teacher, tonsured in Dečani Monastery, a candidate of theology of Kiev Orthodox Spiritual Academy, a man who zealously endeavoured for the Church, who, in his episcopal reports on canonical visits, left precious data on monasteries and parish churches. In 1919, Nikolaj (Velimirović) was elected and appointed to the Throne of the Bishops of Žiča. A year after his consecration, on his appeal, he moved to the Diocese of Ohrid, and Jefrem (Bojović) was appointed to the Diocese of Žiča from 1920 to 1933. He was a student of Moscow Orthodox Spiritual Academy and a Seminary professor. 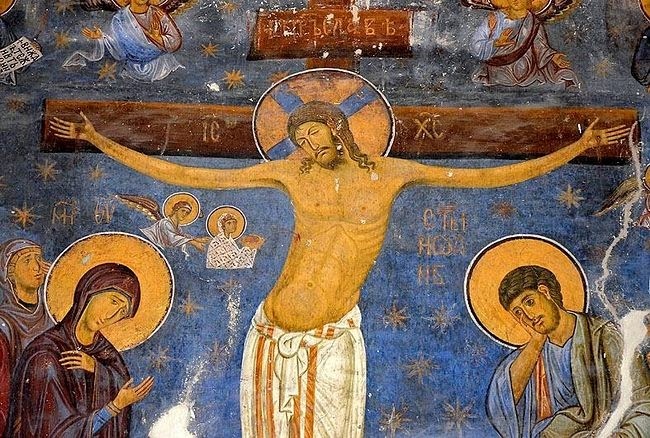 He reposes in Studenica Monastery. 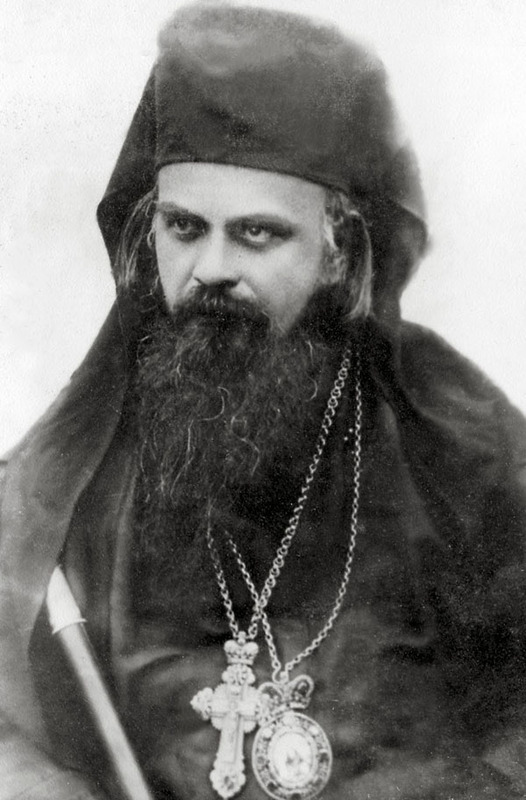 After his death, Patriarch Varnava administered the Diocese of Žiča through his Vicar (Auxiliary) Bishop Tihon up to 1936, when Bishop Nikolaj (Velimirović), a doctor of theology and philosophy, one of the most fruitful writers and a man who zeauosly endeavoured for the Church, once again came to the Diocese of Žiča. He greately helped Serbian people with his activity in America and England, during the First World War. He was a good organizer of the Movement of God-Prayers, which appeared in Serbia between the two Wars. He knew well how to direct the flow of the spring of popular faith and piety. 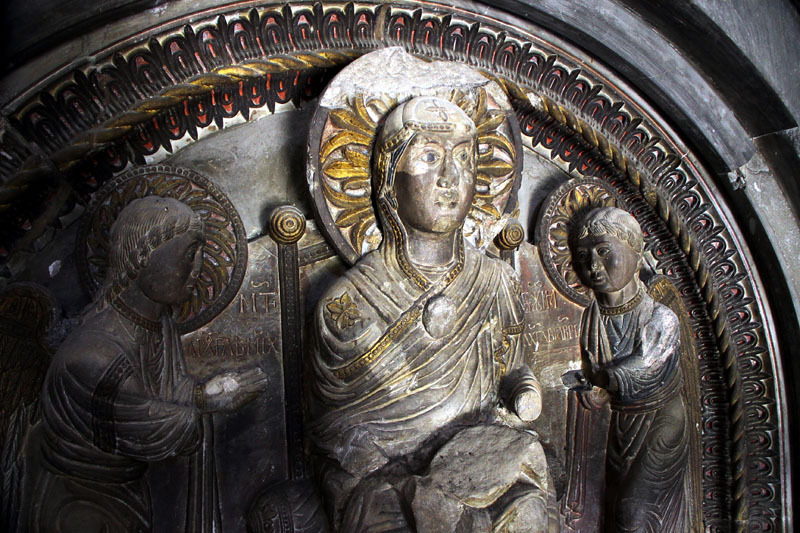 In this way he managed to enrich our Church, particularly because it was through the Movement of God-Prayers, especially after the Wars, that monasticism was revitalised and the number of clerics enlarged. He died in 1956, in exile, in America, where he was buried. His relics were transferred to Lelić in 1992. Today he is in the diptych of the Serbian Orthodox Curch, together with great servants of God. 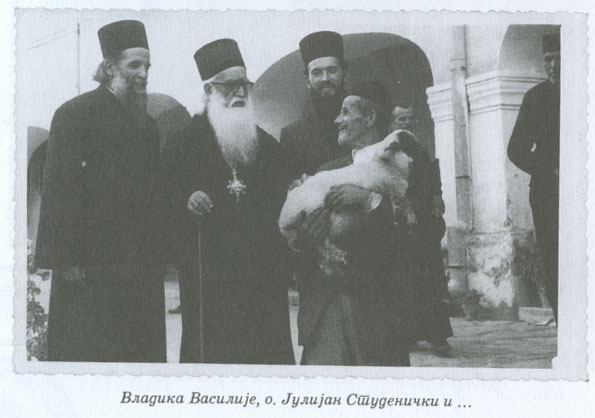 After Bishop Nikolaj’s arrest and taking into captivity, the Diocese of Žiča was administered by Vikentije, the Bishop of Zletovo-Strumica, from 1941 to 1947, and since then up to 1956 it was administered by Valerijan, the Bishop of Šumadija, Josif (Cvijović), the Metropolitan of Skopje, Vladimir, the Bishop of Raška and Prizren, and German, the Bishop of Budimlje. From 1956 to 1958 the Bishop of Žiča was German (Đorić). After he was elected Serbian Patriarch in 1958, he continued to administer the Diocese of Žiča up until 1961. On the Throne of Žiča, from 1961 to 1978, sat Bishop Vasilije (Kostić). Before he was elected Bishop he had received his doctoral degree at the Faculty of Orthodox Theology in Athens, he had been a clerk at the Holy Synod of Bishops, a professor in monastic school in Dečani and in the seminaries of Prizren and Bitola. He was elected and consecrated Bishop of Banjaluka in 1947. He restored the Bishop’s Residence in Žiča Monastery, which was destroyed during the war. He tirelessly comforted and visited his congregation and encouraged the building of new temples and homes. 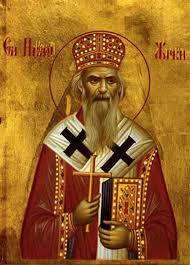 He represented the Serbian Church at the Panorthodox Conferences on Rhodes and in Geneva. 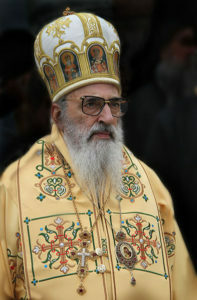 He represented the Serbian Church at numerous inter-church and theological conferences. The Church entrusted him with the organization of church education and schooling. He reposes in Žiča. 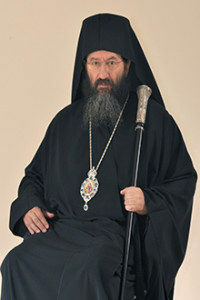 Bishop Hrizostom (Stolic), the Bishop of Žiča (2003-2012) was born in Ruma. He gained the monastic experience through monastic life and endeavour in Visoki Dečani, Chilandar Monastery and Mount Athos. He was the curator of Chilandar Library and the Protos in Protaton (administration) of the Holy Community of Mounth Athos in two mandates. He was elected Bishop in 1988 and appointed to the Diocese of Western America up until 1992, when he was appointed to the Diocese of Banat, where he stayed until he was elected the Bishop of Žiča in 2003. He was a lover of books, beautiful Orthodox chant and worship. The fruit of his Athonite experience was the two-volume book Svetačnik (Life of the Saints) and The Liturgy of the Holy Apostle James, in Serbian translation. He was engaged in the publishing of church books. During his governing of the Diocese of Žiča, an edition of the Gospel and Apostolos Book for liturgical use for each day of the year was published, as well as the Menayon with Srbljak (the service book of the Serbian saints) included in the anual liturgical cycle. He reposes in Rujan Monastery (Bioska near Užice), which he was building, hurrying to finish it in his lifetime. After the repose of Bishop Hrizostom in 2012, up until 2014 the Diocese of Žiča was administered by Bishop Jovan (Mladenović) of Šumadija. Today, Bishop Justin (Stefanović) has been on St. Sava’s Throne of Žiča, since 2014, when he was, as the Bishop of Timok, elected Bishop of Žiča. Bishop Justin visits the monasteries and parishes, teaches the word of God, strenghtens faith, helps the construction of temples and other buildings, and generally the upgrading of the living Church of God, in the God guarded Diocese of Žiča. Today the Diocese consists of 13 Episcopal Deaneries with 215 parishes, 24 monasteries all together, with a total of 210 monastics and novices. There are 24 monastery temples and 13 monastery chapels. On the territory of the Diocese of Žiča 167 catechists teach catechism. The Diocese has 18 deacons. There are 170 parish temples in the Diocese, 34 chapels, as well as 59 parish homes. The building of a large number of new temples and parish homes is in progress. 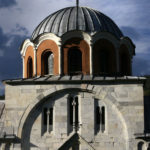 The seat of the Bishop is Bishop’s Palace in Kraljevo, at 5e Dositejeva Street, beside the Cathedral Church, dedicated to the Burning of the Relics of St. Sava of Serbia. 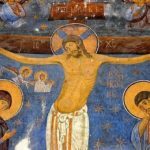 There are active icon painting workshops in Žiča Monastery and Monastery Gradac. 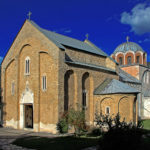 Near the town of Raška there is a restored Monastery from the pre-Nemanjić period – Stara Pavlica (the Church of Holy Apostles Peter and Paul). 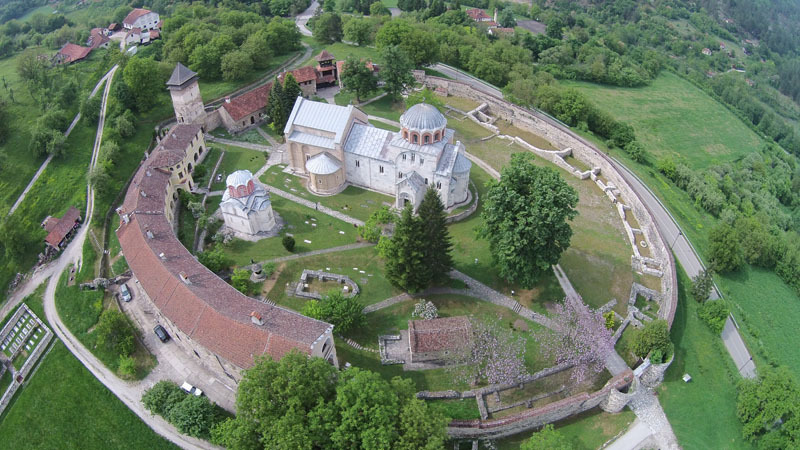 The most renowned monastery of the Diocese of Žiča is Studenica Monastery, the endowment of Stefan Nemanja, from 1190, rightly called „the Mother of Serbian monasteries and churches “. 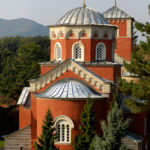 This monastery, with its beautiful architectural style and frescos, was a great example to other rulers of the Holy Nemanjić Dynasty, who continued with endowment building. 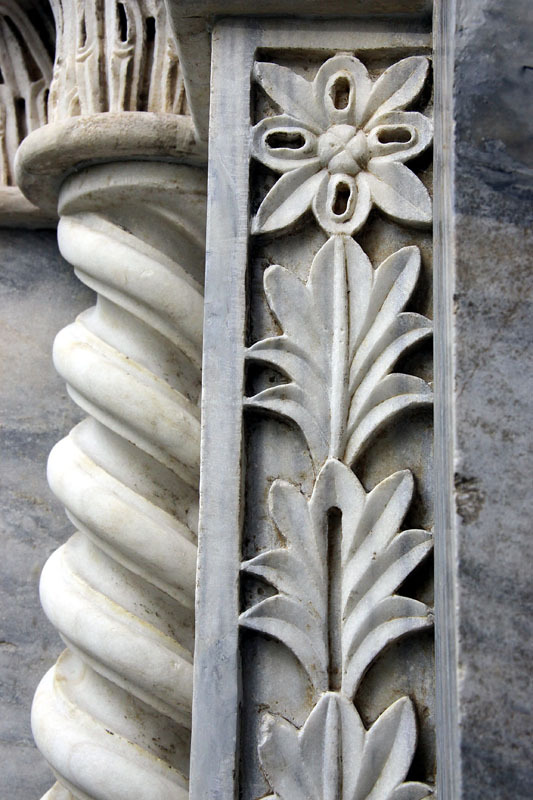 In this way Studenica gave birth to many monasteries and churches, the spiritual gems of architecture and church art. 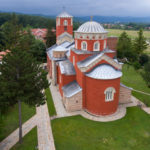 It was from Studenica that St. Sava, as the Archimandrite of Studenica, began his great mission of the realization of Serbian independent state and Church, which he finished in Žiča at the Ascension (Spasovdan) Assembly, in 1221. It was on this occasion, in Sava’s Sermon on the True Faith, that the Synodikon (Liturgical formula of the Orthodox Church) was also announced. Žiča has been mentioned earlier in the text. –Gradac Monastery, the Church of the Annunciation of the Most Holy Mother of God (13th century), the endowment of the Queen Helen of Anjou – Venerable Jelisaveta). 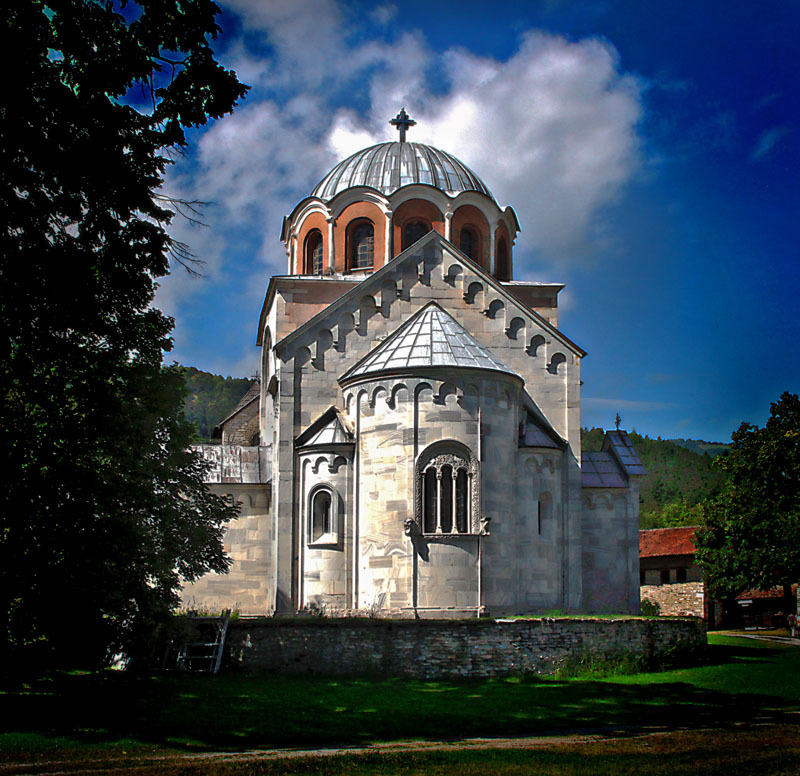 -Rača Monastery, near Bajina Bašta, the Church of the Ascension of the Lord Jesus Christ, the endowment of King Dragutin Nemanjić (13th century). It had more than 300 monks and a famous transcribing school. – Pridvorica Monastery, near Studenica (12th century). 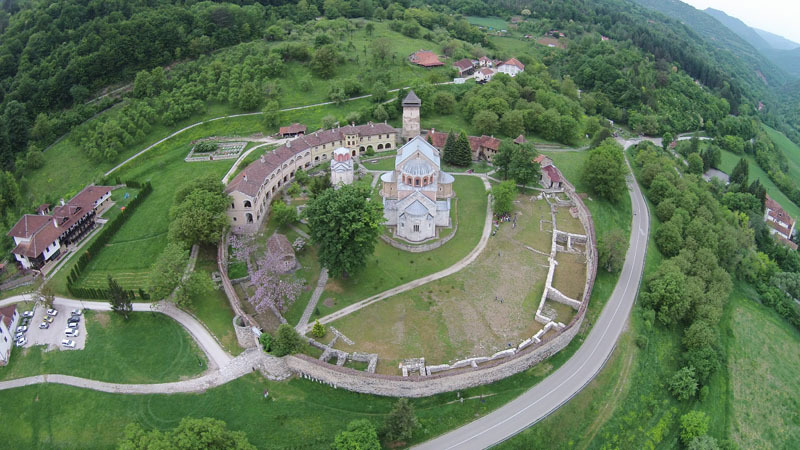 – Klisura Monastery, near Arilje, the Church of Holy Archangels (13th century). -Kovilje Monastery, the Church of the Holy Archangel Gabriel (13th century). – Ježevica Monastery, the Church of the Translation of the Relics of St. Nicholas of Myra (1337). – Stjenik Monastery, the Church of the Nativity of St. John the Baptist (14th century). -Kamenac Monastery, the Church of the Nativity of the Most Holy Mother of God (14th century). – Vraćevšnica Monastery at the foot of mountain Rudnik, the Church of St. George the Great Martyr (15th century). – Bagoveštenje Monastery in Trnava, near Čačak, the Church of the Annunciation of the Most Holy Mother of God (1554). – Rujan Monastery, the Church of St. George the Great Martyr, famous for its printing house and the Rujan Gospel, printed by monk Teodosije in 1537. The Turks destroyed it and the transcribers of books went to the Monasteries of Rača and Mileševa. 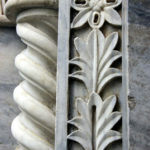 The monastery has been recently restored. 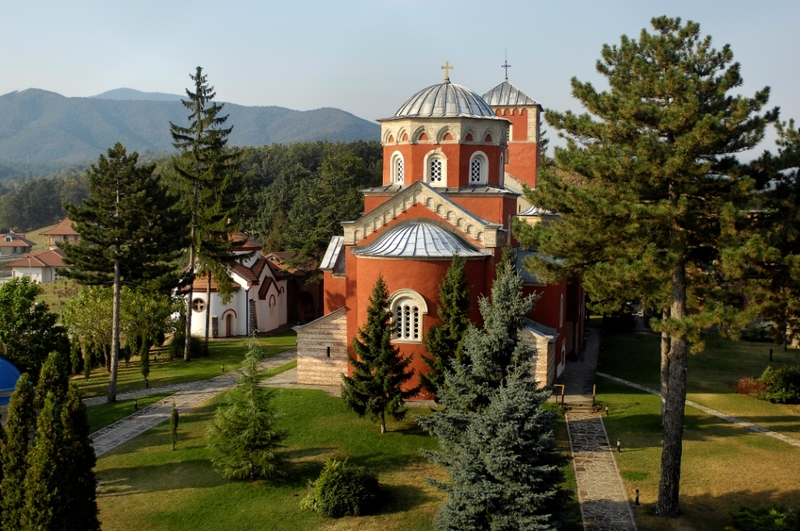 – Voljavča Monastery, the wooden Church of St. Prokopius the Great Martyr (17th century). – A group of monasteries in the Ovčar-Kablar Gorge, known as “Small Serbian Mount Athos”. It numbers about ten monasteries. 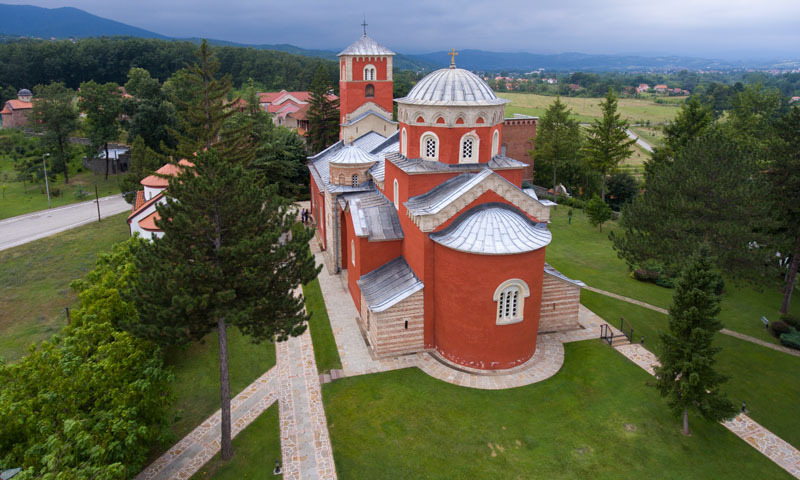 These are: Blagoveštenje Monastery, the Church of the Annunciation of the Most Holy Mother of God (12th -13th century); Nikolje Monastery, the Church of St. Nicholas of Myra (14th -15th century), with the famous Nikolje Gospel from this period; Jovanje Monastery from 1540, (the endowment of Athonite monks); Uspenje (Dormition of the Most Holy Mother of God) Monastery (14th century); Preobraženje (Transfiguration of the Lord) Monastery, destroyed in 1909, because of a railroad construction. The new Church of the Transfiguration of the Lord was built in 1940; Vaznesenje (Ascension of the Lord) Monastery (16th century) Vavedenje (the Presentation of the Most Blessed Virgin Mary) Monastery (13th century); Holy Trinity Monastery (15th century), built by Athonite monks; Sretenje (Meeting of the Lord) Monastery (14th century). Among the oldest temples of the Diocese of Žiča is the Church of the Ascension of the Lord in Čačak, (12th century), from the time of Nemanja’s brother Stracimir. -the Church of Holy Archangel Gabriel in Borač, from 1350.
the expulsion of the Ottomans. 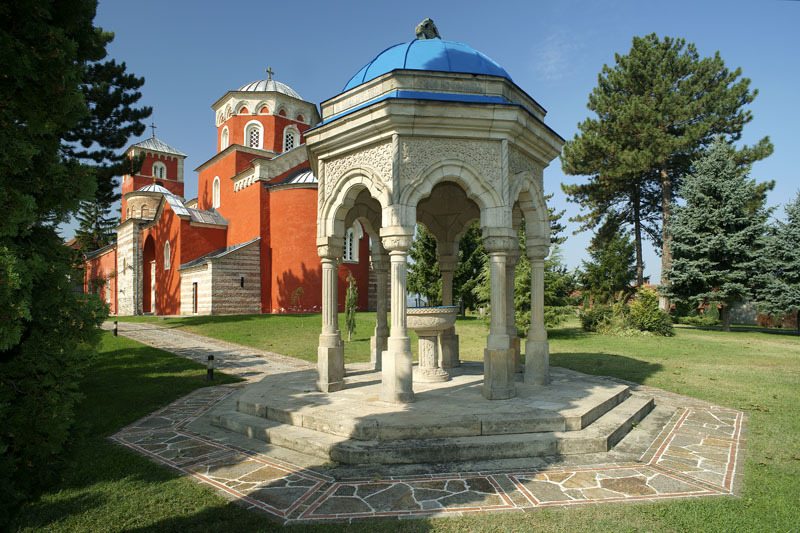 -the Church of the Protecting Veil of the Most Holy Mother of God in Čukojevac, near Kraljevo, from 1780. – the Church of the Nativity of the Most Holy Mother of God in Cvetke, near Kraljevo, from 1725. -the Church of St. Prophet Elijah in Dobroselica on Zlatibor, from 1780. -the Church of the Ascension of the Lord in Dub, near Bajina Bašta, from 1792. -the Church of St. George the Great Martyr, Seča Reka near Kosjerić, around 1812. 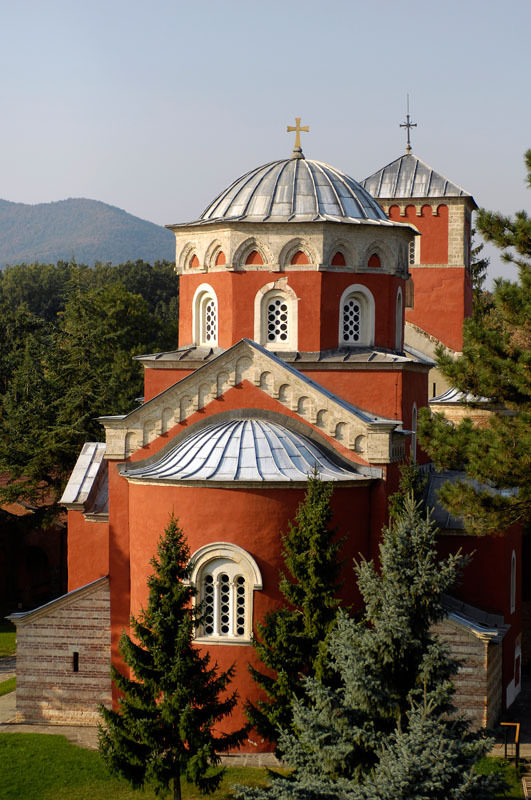 -the Church of the Synaxis of St. John the Baptist, Vukušica, near Kraljevo, from 1815. -the Church of the Translation of the Relics of St. Nicholas of Myra in Vrba, near Kraljevo, from 1834. -the Church of the Protecting Veil of the Most Holy Mother of God in Jablanica on Zlatibor, from 1830. Text for the site of the Diocese of Žiča written by Prof. Dragoljub Danilović PhD.